If you haven’t tried poke yet, it just got a little easier to do so. Soy! 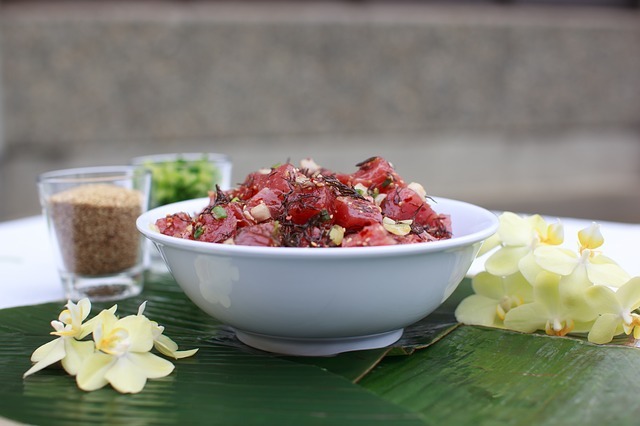 Poke & Noodle Bar entered the local culinary scene at the end of last year with a menu starring poke, a classic Hawaiian dish that features fresh raw fish, usually tuna. However, the chef takes some liberties with culinary tradition and adds modern flair. There’s proof of that in the signature poke bowls, which are pre-designed for you. Try the Koa, a combination of salmon, sweet onion, cucumber, and edamame over white rice with a surprisingly sweet twist in the form of oranges and pineapple. A drizzle of spicy sriracha aioli serves as the final flourish. Prefer to build your own bowl? The restaurant also allows eaters to customize their poke bowls, starting from the base to the toppings. The chef intends to constantly add to the menu with dishes like ramen and bao buns on the horizon, so keep coming back to check out what’s new.